The Baton is being designed to represent the green games and include a water collecting device. As part of the celebrations and ceremonies on route water from each location will be collected by the Baton before it commences its journey onto the next city. 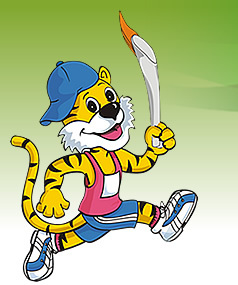 After nearly 40 days in host state Maharastra the Baton will arrive to Pune where the host city will have 3 days of events and ceremonies including the garden of youth planting ceremony at Balewadi, street entertainment and a carnival atmosphere culminating at the opening ceremony on the 12th October 2008 where the arrival of the baton into the stadium will mark the beginning of the III Commonwealth Youth Games Pune 2008.